To lead into the holiday season, and quite possibly to bridge the old and new years, I’m taking a look at four of the more interesting books I’ve read in 2017. And yes, you guessed it, the series is titled “Something Old, Something New, Something Borrowed, and Something Blue.” Original? Yeah, nah…Nonetheless, I hope you’ll find something of interest therein. 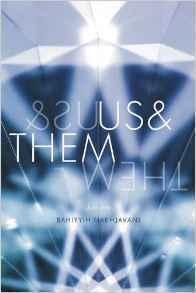 For “Something New” the book I’m featuring is Us & Them by Bahiyyih Nakhjavani, published by Redwood (264 pp; Stanford University Press) earlier in 2017—which I feel counts as new enough, particularly when last week’s entry (The Sea Change) hailed from 1959. Firstly, I’d like to say that this is a physically beautiful book. The quality of the paper is a delight to touch and the dust jacket has a velvety finish that reminds you that this is ‘book as object’, not just a vehicle for the story within. No question, though, the story within repays your commitment to getting past the physical delight of the book. I do take issue with the jacket on some points and this is one of them, because the “life away from home” is that of those who fled the Iranian revolution, so in that sense it is a story of exile and exiles, with all its permutations. Exile, imho, is not directly analogous with migration, which in many cases will be voluntary and economic or familial, rather than involuntary and political. The story is told in two main streams, one of which uses the first person plural point-of-view, aka the story is told from the point of view of “we.” The reader is also told that this is a convention of the Persian literary tradition, for reasons that are a clue to the function the “we” sections form in the book—which to me felt like (very successful) storytelling via the medium of something resembling the chorus of ancient Greek theatre. I loved these sections and thought they were both illuminating and really “rocked” the book. The second stream is told from the more traditional (in Western European literature anyway) third person singular point of view, which is this case shifts between the female members of an Iranian family, some of whom live in exile while others have remained in Iran. 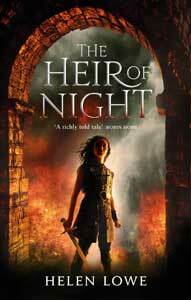 The story is about the way in which the revolution and either exile or staying behind has changed the women’s relationships with each other and their dealings with other family members and the world, although outwardly it may appear focused on the fate of the son/brother who disappeared during the Iran/Iraq war. I was engaged in this half of the story, but it did not absorb me as completely as the “we” sections did. Overall, though, I believe Us & Them is an interesting and enjoyable read that addresses the social and cultural aspects of the Iranian exile, which I suspect many people—like me—will know little of. The themes of exile and family relationships, however, are as old as the human race, which makes Us & Them universally relevant storytelling. Did I like it? Yes, I did and recommend Us & Them to anyone who can get their hands on a copy—and because of the beautiful presentation as well as the writing, with the season of coming up, it would make a superb gift. I believe Us & Them may appeal to readers who also enjoyed Louis de Bernières Birds Without Wings, Jumpa Lahiri’s The Namesake, and Abraham Verghese’s Cutting for Stone. By way of disclosure, my copy of Us & Them was a gift from my friend and fellow author, Mary Victoria — and as well as being a fine author, Bahiyyih Nakhjavani is Mary’s mother. Beyond that connection, however, she is not personally known to me.